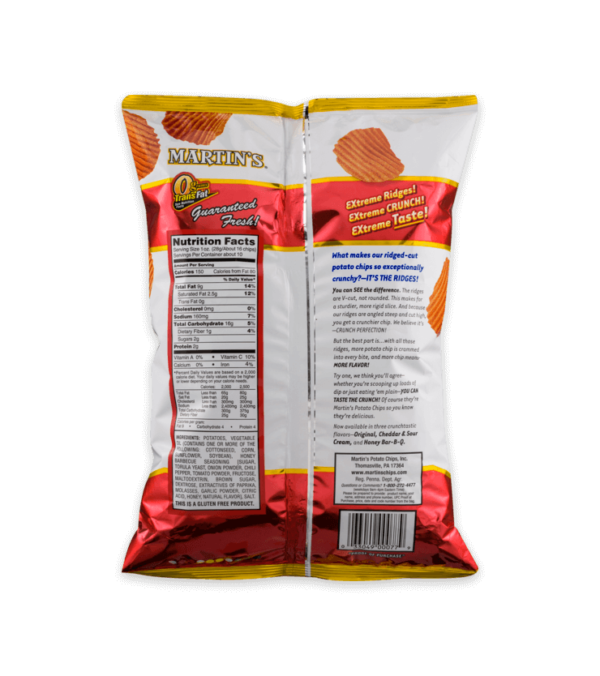 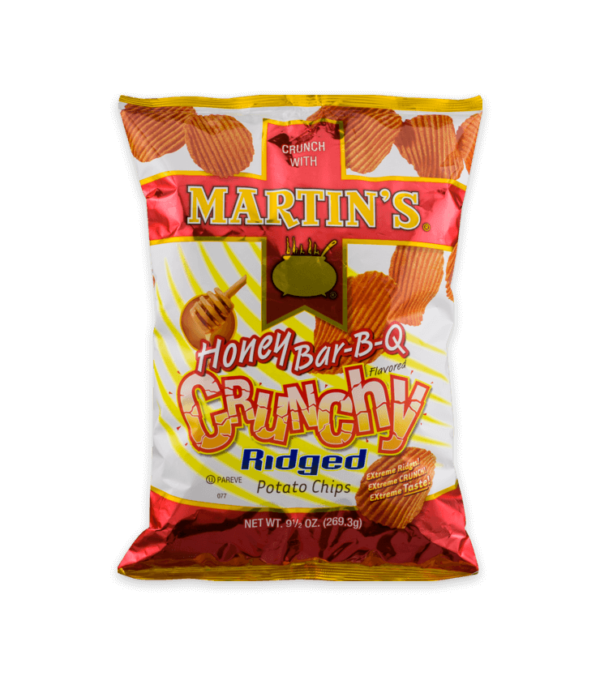 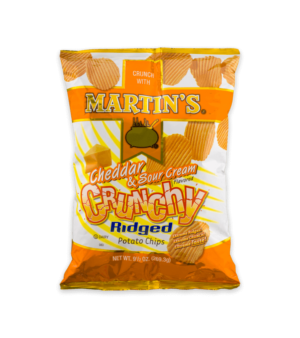 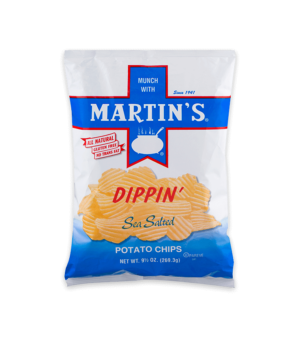 A thin cut ridged potato chip with a sweet and tangy BBQ flavor, you’ll have trouble saying no to these. 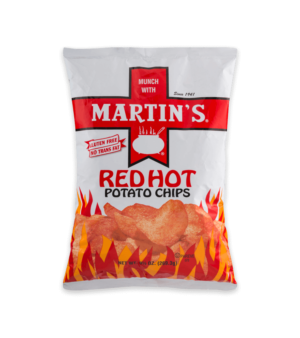 You can't put the bag down after you start! 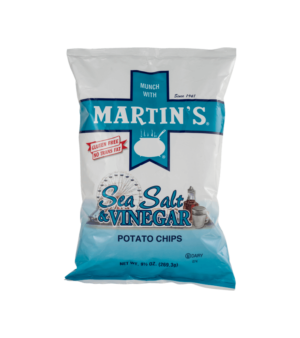 Great as a side to a sandwich or on the go! 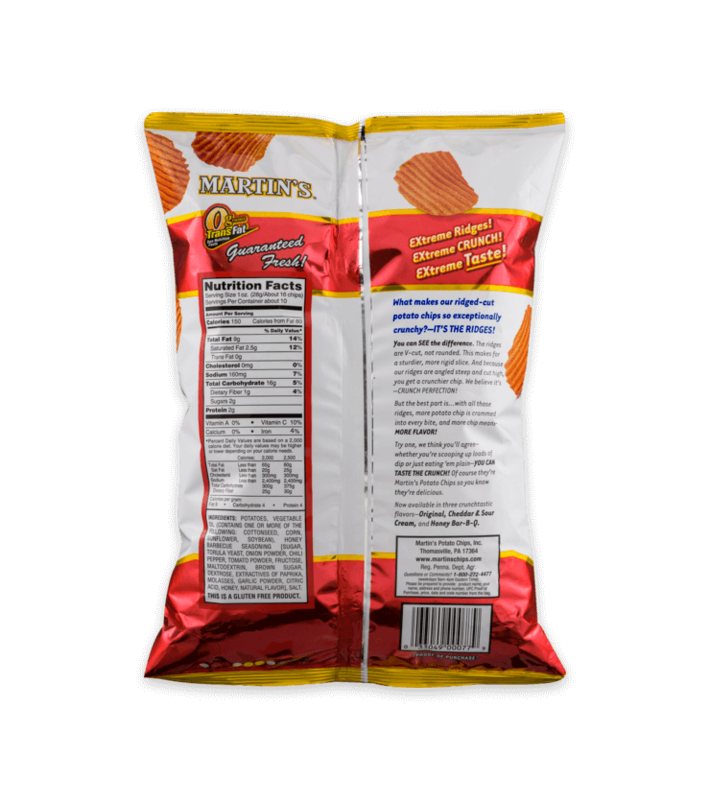 Potatoes, Vegetable Oil(Contains One Or More Of The Following: Cottonseed, Corn, Sunflower, Soybean) Honey Bbq Seasoning (Sugar, Torula Yeast, Dehydrated Onion, Dehydrated Chili Pepper, Dehydrated Tomato, Fructose, Organic Honey Powder (Organic Maltodextrin, Organic Honey), Extractives Of Paprika, Molasses, Brown Sugar, Dehydrated Garlic, Citric Acid, Natural Flavors), Salt.